James Bird is from Horsham, a boring town somewhere in the heart of West Sussex. He has lived there all his life but was actually born in Carshalton, South London. In his spare time Jim does pretty much nothing, we were going to make up some hobbies to make him sound an interesting person. He’s taken the hint and given up on his football career, his dream of playing for England are fading away. Last year he was however part of the Oxford Boxing team, nicknamed ‘Raging Bird’. The worst job he’s had was a week picking chewing gum off a car park surface, something he’d rather not experience again. His biggest regret in life is never having learnt to play an instrument; he hopes to change this one day. His dreams of being a rock star are very much alive. 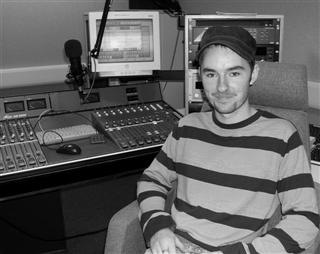 He didn’t decide on studying radio production until after completing his degree in communications at Oxford Brookes. At first he was even considering a move into post production for television, but eventually he came to his senses. 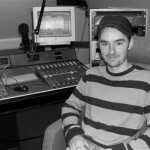 Despite no previous experience in working for radio he was sure Bournemouth was the right move.